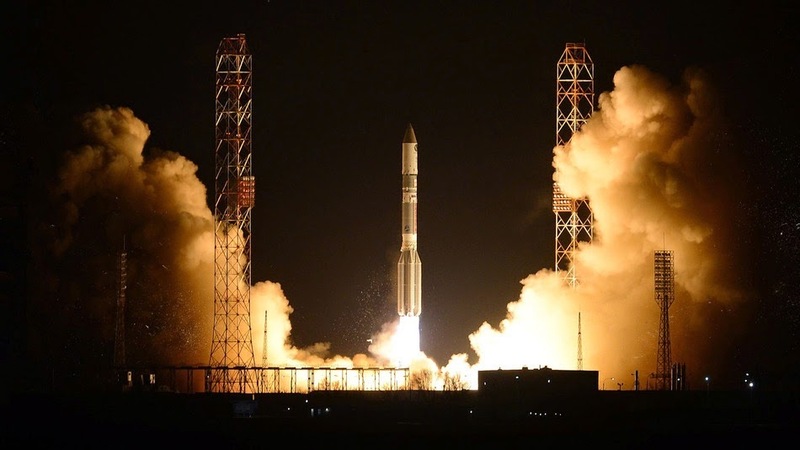 A Russian Proton-M rocket containing the country's most radical satellite to date, the Express-AM4R, crashed near Kazakhstan approximately nine minutes after launch. The cause for the disastrous breakdown is still unknown. An initial theory is that the rocket experienced a failure in one of the third phase's steering engines. Oleg Ostapenko, the cheif of the Russian national space agency (Roscosmos) in an RT report said "The exact cause is hard to establish immediately. We will be studying the telemetry. Preliminary information points to an emergency pressure drop in a steering engine of the third stage of the rocket." The leftovers of the rocket and its shipment seem to have burned up in the atmosphere, so there's possibly no damage on the ground. The takeoff went unusual during the 540th second of the airlift when a reserve engine shut-down was activated in reaction to the rocket conflicting from its planned trajectory. In the third stage, called Briz-M, the rocket was about 93 miles (150 km) beyond the ground, just 40 seconds earlier it was to organize its payload into orbit. Today's crash results the sixth main failure in just four years for the Proton.The last mistake, seen in the photos below, occurred in July 2013 after the Proton-M booster suddenly shut down the engine 17 seconds after the launch and crashed about a mile away from the Baikonur launch pad. 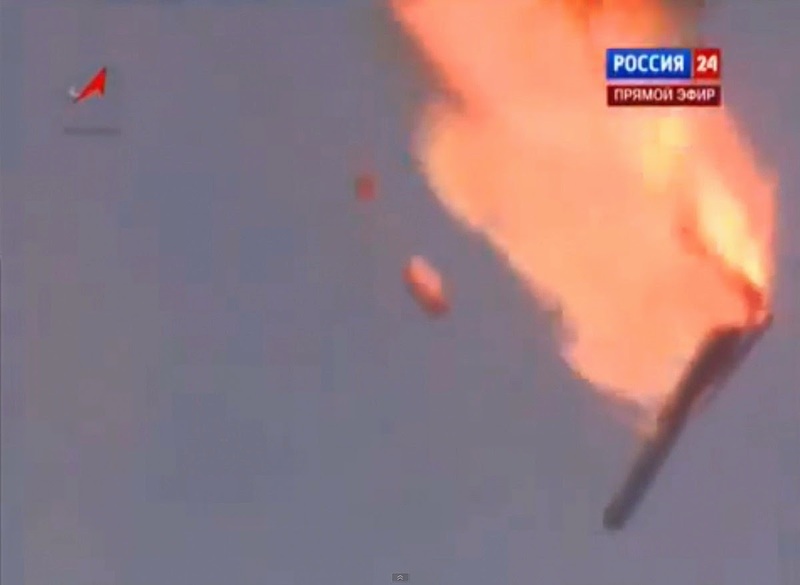 In October 2013, it dismissed its Roscosmos chief after less than two years on the job. Russian President Vladimir Putin tasked Ostapenko with revamping the space agency. Russian President Vladimir Putin tasked Ostapenko with restoring the space agency. 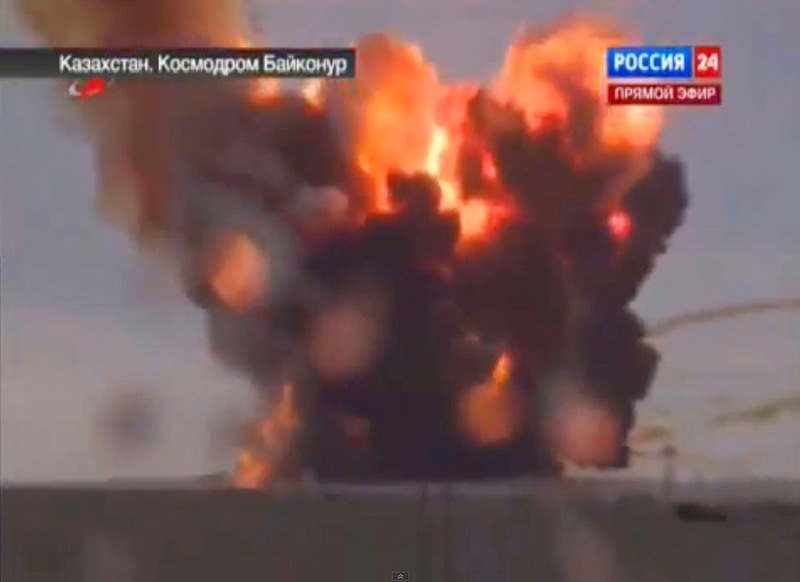 The Russian government has ruined billions in additional state funding to repair the program.